Also on the Glam GH Fashion Show 2018 runway aside SamRich Klassics is Sheba Sharon Quartey, she is to display her tasty collections to please the eyes of fashion lovers that will be perusing through the sheds. Sheba Sharon is a seasoned professional lecturer in fashion design, a wedding and event planner and a wedding with indepth knowledge and experience in this discipline. She has taught for a decade at Takoradi Technical University, Ghana. Sheba headed the fashion department at Abrantie College and is now the CEO of Deshe Training Center, Dansoman (Accra, Ghana). Deshie Kollection, the brand name of Sheba’s fashion works, has grown to be a household among her die-hard clients and her social circles. Her brand has engraved deeply into the minds of many who have walked her collections shed at fashion events. 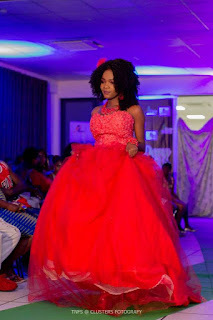 Sheba’s specialty in wedding and gowns and celebrity wear got her nominated as “Best Costume Designer” at Ghana Movies Awards 2012. She is currently the team organizer of Wear Ghana Month. 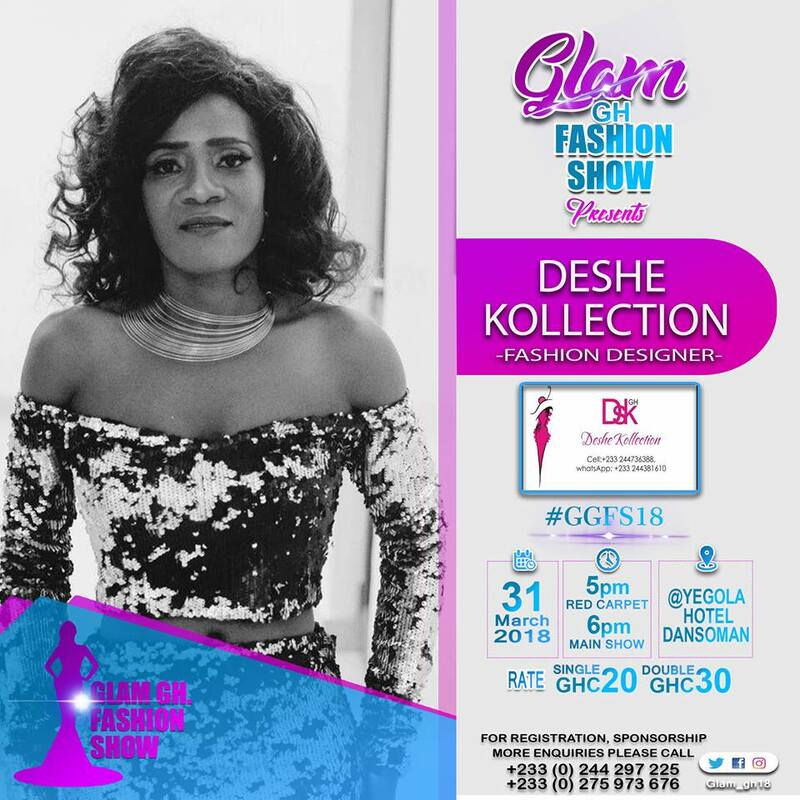 It hasn’t just been the local fashion events that have given shed slots to Deshe Kollection, the collection has also has been slotted for international events. It was in South Africa Fashion week, Kenyan Runway, to sate just two. Meet Sheba Sharon Quartey at Glam GH Fashion Show 2018 on 31st March inside Yegoloa Hotel (Dansoman, Accra) at 5pm and peruse through her many tasty collections that wet your eyes. For more info Glam GH Fashion Show, check out these hastags on social media platforms.